Best-selling author Mary Horsfall explores how our harsh climate can impact gardens, including the effects of bushfires, floods, frost, storms and heatwaves. 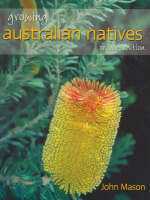 She also addresses various pests from possums, snails and caterpillars to fungal problems and weeds. 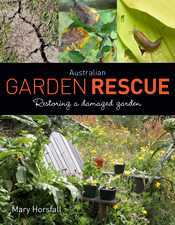 With an emphasis on environmentally friendly strategies and simple advice, this highly illustrated guide will provide tactics for gardeners repairing recent damage or tackling prolonged neglect. Regardless of your garden’s size or location, this book should be part of your gardening toolkit.